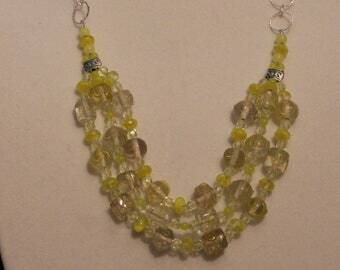 This fashion forward bracelet will be a great addition to any wardrobe. 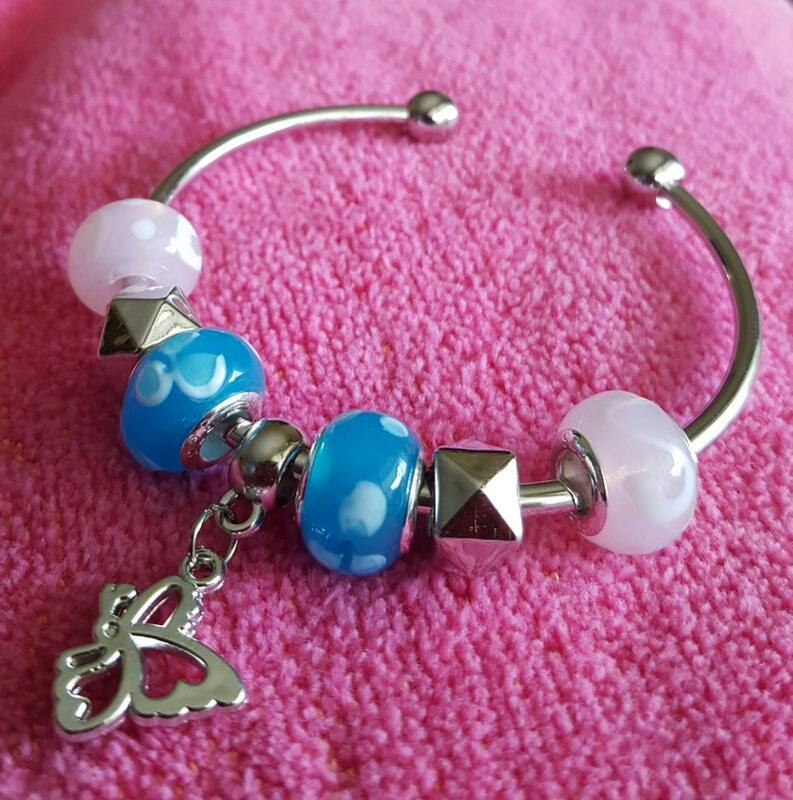 A silver cuff bracelet with blue and white Lampwork beads and an adorable butterfly charm. 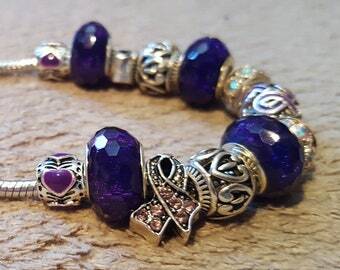 Bracelet measures approximately 7 1/2in but is adjustable.